Take ownership of your body’s needs and learn the best techniques to help you keep moving, recovering well, staying injury free, and most importantly, feeling great! Flexibility is so much more than simply stretching. You can restore full range of motion to muscles and joints with banded movement mobilizations that aid in resetting the body into more stable and efficient positions, decreasing muscle and joint pain, improving neuromuscular mechanics, and preparing the muscles and nervous system for upcoming training demands. Learn to restore freedom and ease of movement while promoting circulation and muscle relaxation, and decreasing muscle soreness and stiffness. In Release your Flexibility Potential, Laura Noyes, creator of Flexibility Script shares how to safely integrate RubberBanditz banded movement mobilizations to your movement practice with detailed instructions for performing banded movement mobilizations for the entire body. More than 175 pictures illustrate the movements to enhance your learning experience. The movements are organized by body part with easy-to-follow illustrated steps. The detailed benefits of each banded movement mobilization are provided to increase your flexibility, resolve movement restrictions, and correct imbalances in your body. The Joint Capsule is perhaps the least discussed and understood flexibility component that can ultimately affect the healthy joint range of motion and tissue health. Although it might not receive much attention, the joint capsule is one of the most important components to resolving movement restrictions. Extra tension is needed to get a stretch through the sac of tissue that makes up the joint capsule. To effect change within the joint capsule, we need to create space within the joint. 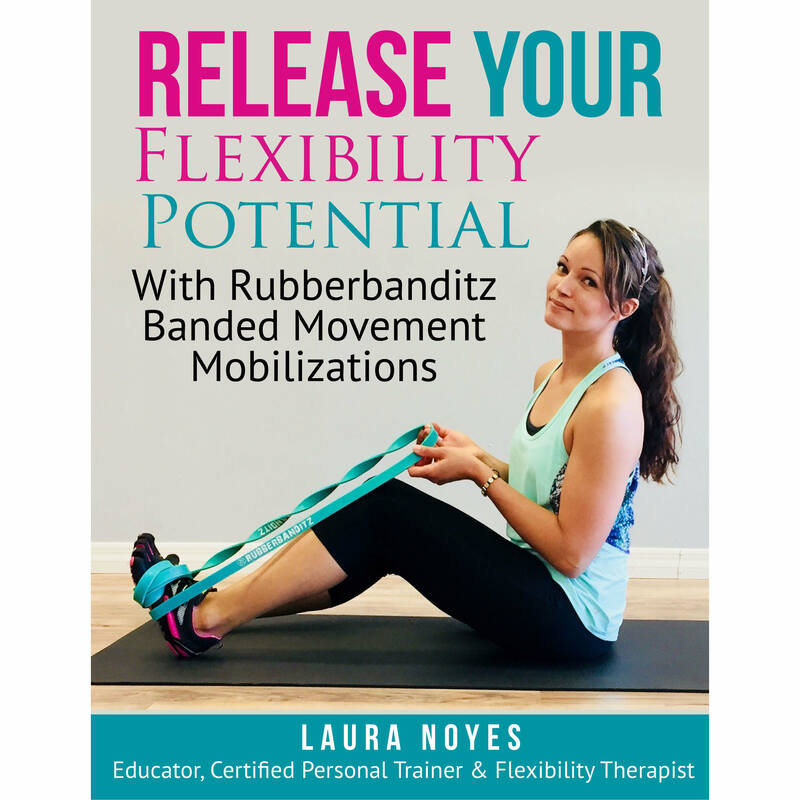 We accomplish this by creating a banded movement mobilization using a band that is generally used for assisted pull-ups, like Rubberbanditz Standard 41” Resistance Bands. Most stretching techniques focus on stretching isolated, individual muscles. While this approach does have success in some cases, it often fails to provide lasting results. Restricted range of motion in a joint results in a restricted range of motion in the muscle as well. Restriction in one joint capsule can therefore lead to restrictions and compensations in other parts of the body. 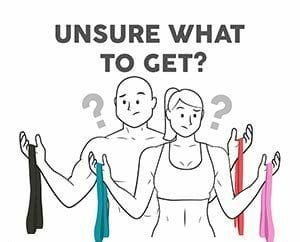 Learning how to restore and gain joint flexibility with Rubberbanditz Standard Resistance Bands is time well invested in avoiding injuries from which recovery can take weeks and which may force extended rest. Laura Noyes is the creator of Flexibility Script, a continuing education provider, focused on Flexibility Therapy and Prescription. She shares her passion in flexibility and mobility training to empower, teach, and equip all individuals who want more from themselves. 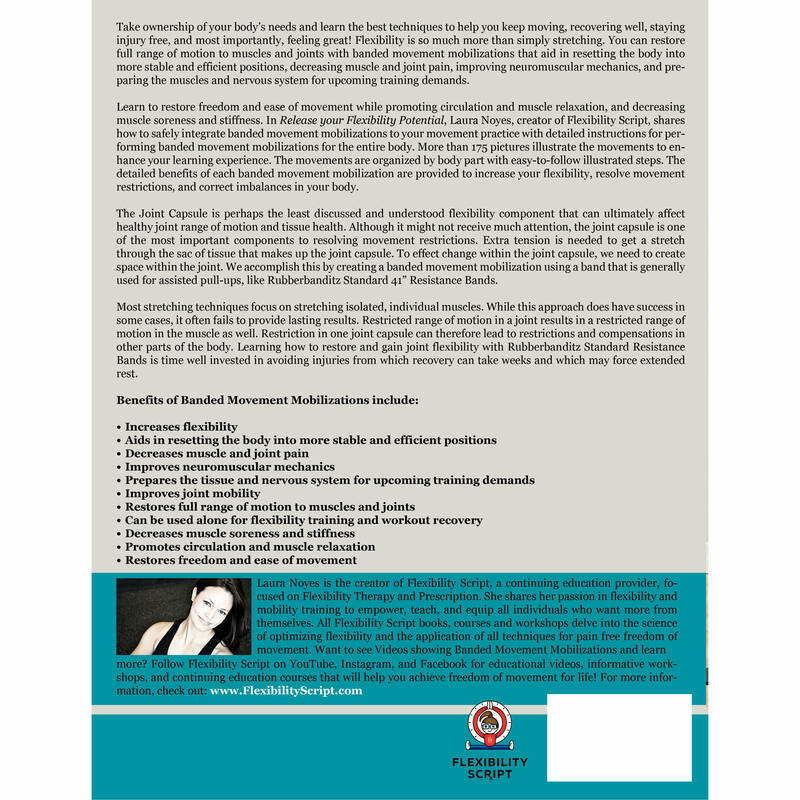 All Flexibility Script books, courses, and workshops delve into the science of optimizing flexibility and the application of all techniques for pain-free freedom of movement.